We have an enormous range of uPVC panel and Composite Doors available that look stunning and would transform the look of any home. Our uPVC doors come in the standard colour range the same as our windows, have options of different designs on the glass including, bevels, lead, colours and even some Rennie Macintosh inspired designs. Our Composite Doors are a great addition if you are looking for a door that looks like a timber door but without the maintenance. These benefit from great security and fantastic designs from cottage style to contemporary, these doors have it all. All our doors offer high security way beyond the standard requirements from insurance companies but these can be upgraded even more to the highest specification possible and meet Secure by Design level if required. 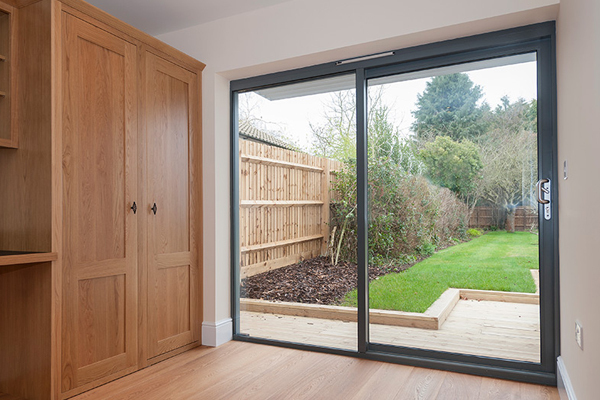 ​Our French Doors can be either opening into the room or more commonly opening outwards, which will maximise the floor space in the room. 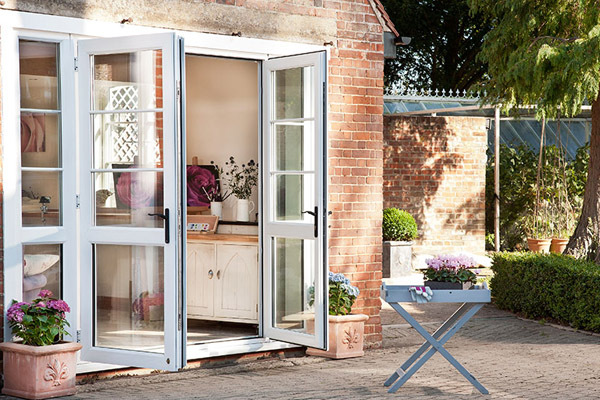 These doors are a common addition to exit from the kitchen, dinining areas or from a livingroom to an outside decking or patio area, either way they are a very affordable option. ​Inline Patio Doors are a great advantage to rooms where you don’t want the doors impeding on the floor space as they slide to the left or right. These come in all standard colours and the glass can have different options from adding georgian bars to tinted glass, again a site visit is best so we can provide professional advice for the best solution.